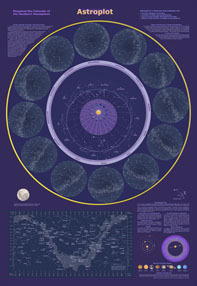 Left : The size of the Astroplot chart is 62 cm x 91 cm. 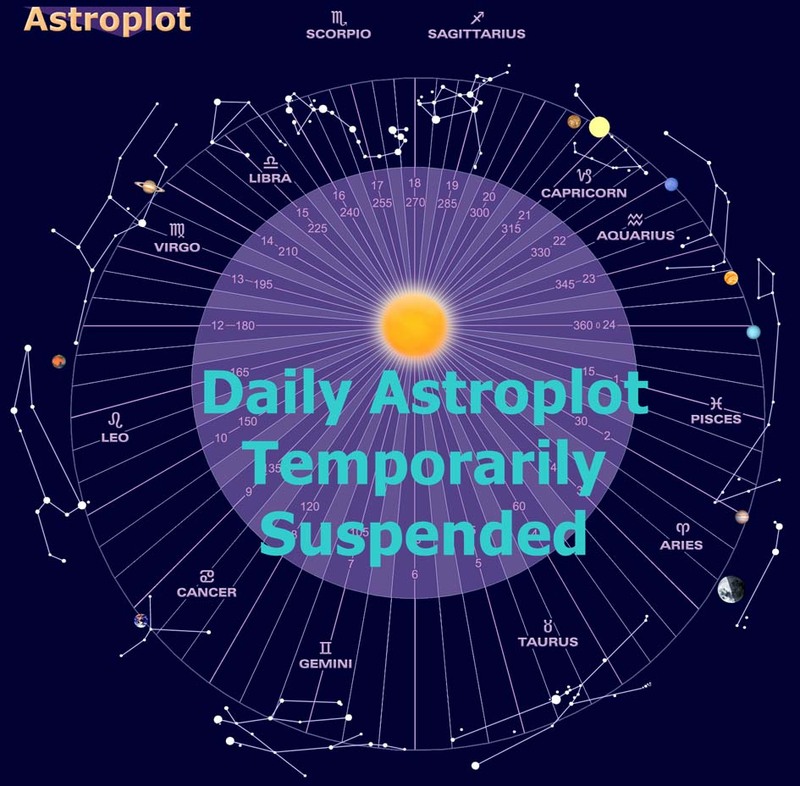 Go to the astroplot reference for details about the Astroplot chart features and how to refer to the chart. Current Sky Plot of the Sun, Moon and Planets. Daily plots of the Sun, Moon and planets. The moon completes a circuit of the 12 Zodiac constellations every 28 days. The Moon is a brilliant signpost to locate Zodiac constellations. Discover the current location and phase of the Moon. For an insight about the origins of the calendar. Realize how time, the year, the seasons and astronomy relate. Astronomy and the Solar System planets that orbit the Sun. Discover how the astrology calendar has lost the plot and is out of alignment with the actual sky by a month. Find where the Sun (your star) was actually located on the date of your birth.